Small Munsterlander has been a favourite house pet for many households in Europe as well as USA for centuries. 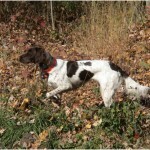 He was bred as a hunting dog and therefore has natural hunting instincts but is also quite playful and friendly which makes him an excellent companion for kids. History – This breed of dog originated in the Munster area of Germany which also gave it the name of Munsterlander. 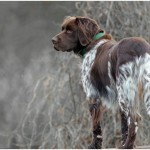 They were bred to be hunting dogs, especially for noble families of the time for whom hunting was a sport. This breed developed excellent hunting and retrieving skills because it was required to flush out the prey for the hunters and then guide them to it. 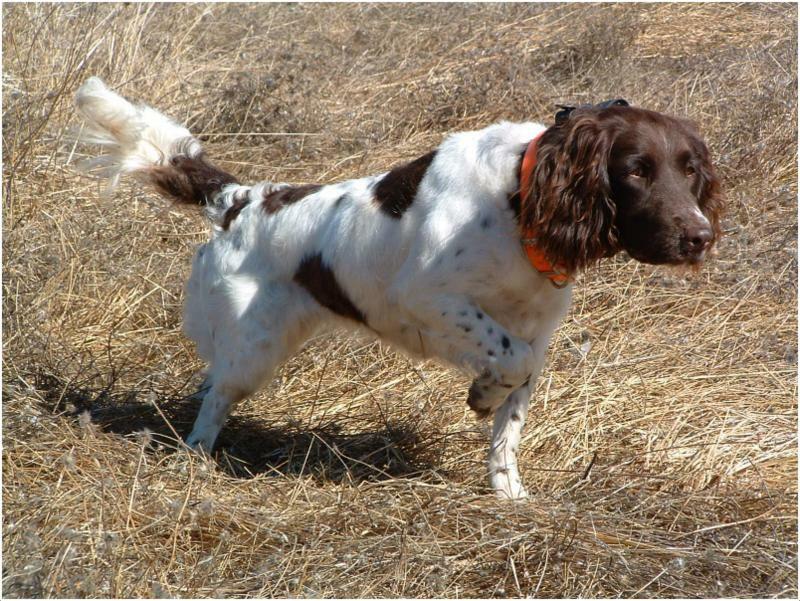 Health – The Small Munsterlander is a generally healthy breed and does not usually contract diseases in the normal course. Of course, an occasional medical check-up and a trip to the vet are necessary to make sure there are no infections. 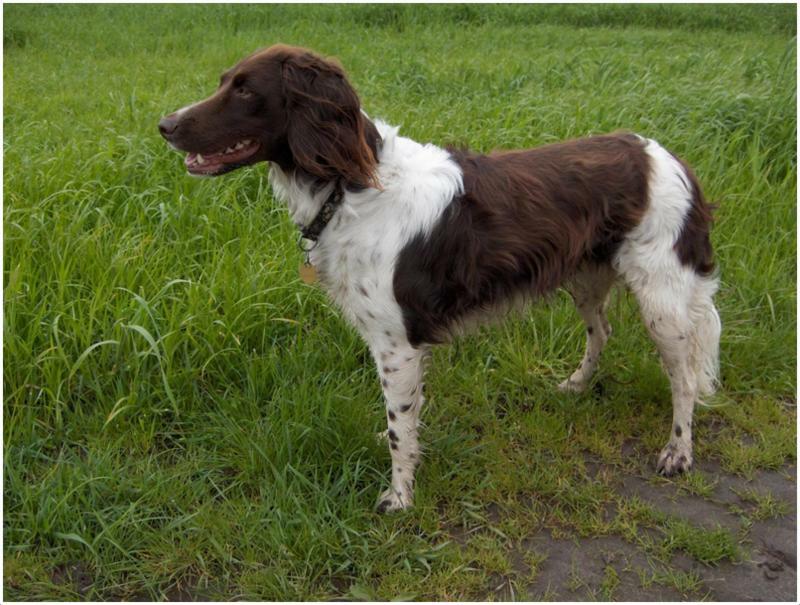 Personality – The Small Munsterlander is an extremely intelligent dog with a very keen sense of smell. They are very playful and affectionate, especially towards children. Sometimes, they can act stubborn, like when they catch an interesting smell which they simply have to follow because their hunting instincts get kicked in. Otherwise, it is an extremely social dog and loves to interact with both humans and other animals. Activity Requirements – This dog requires a lot of daily exercise. 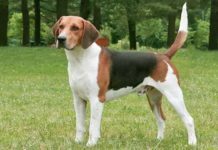 Since it was bred to be a hunting dog, it is used to an outdoor environment and is happiest when it has a big yard or garden to play or roam around continuously. Without ample exercise, the dog may get out of hand and turn destructive. Trainability – Small Munsterlands are very easy to train. They are intelligent and can therefore grasp the instructions quite quickly. They can easily learn to follow the sound of voice commands as well as the hand movements of the owner. Behavioural Traits – With their friendly nature towards any living thing, Small Munsterlands usually make very pleasant and loving companions. 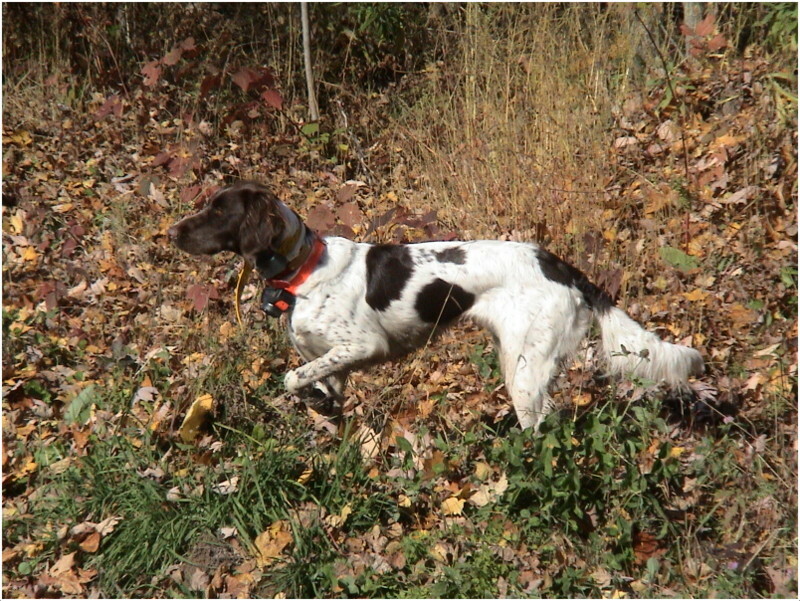 Some dogs can have a bit of a stubborn streak, especially when their hunting instincts get kicked in. 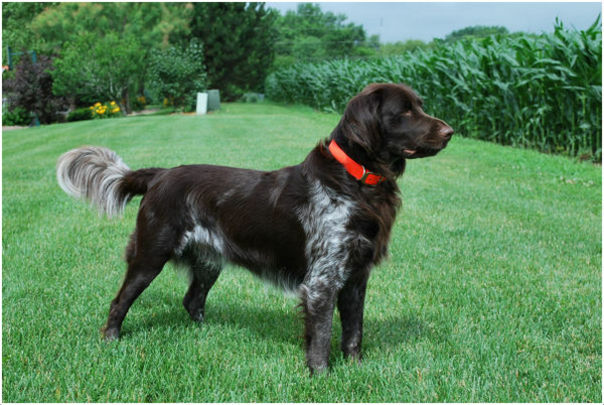 Even if they are being used as field dogs, they prove to be very useful because of their sharp watchfulness and retrieving skills. 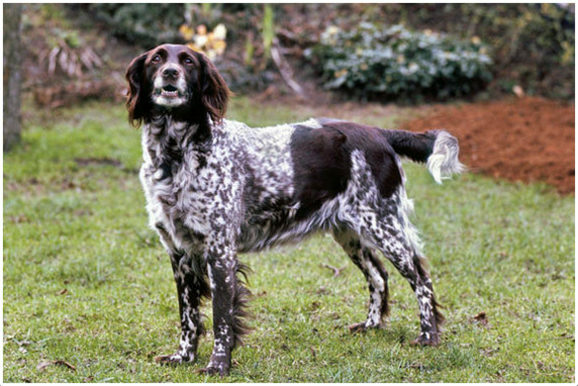 Appearance – Small Munsterland is said to be a descendant of long haired German spaniels and therefore it resembles a spaniel to a great extent. 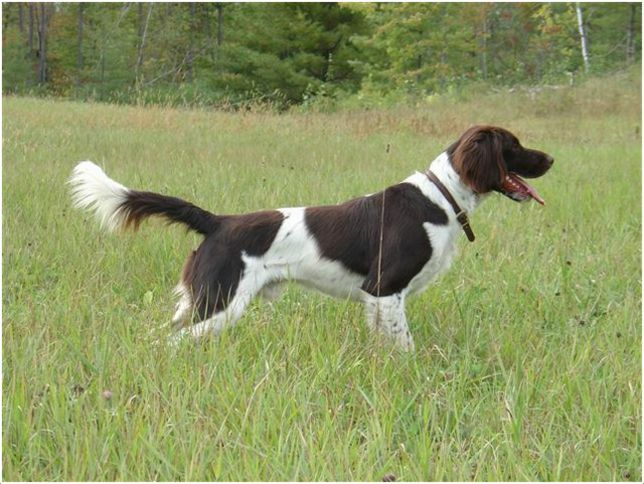 Because it is a hunting dog, it has a strongly built body which is exceptionally well-balanced giving an overall very elegant look to the dog and making his movements very graceful. 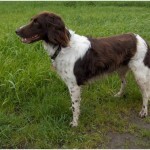 The coat is also generally patched with brown and white and can be very glossy if the dog is on a healthy diet. Size and Weight – It is a medium sized dog, measuring about 52-56 cms in height and weighing 17-26 kgs. 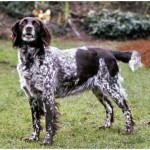 Coat and Colour – Most dogs of this breed have a white coat with large patches of brown. Some may not have patches but may be simply ticked with brown. The coat is also dense and flat-lying to aid these dogs in their hunting activities. It is also resistant to harsh weather, water as well as thorns. Grooming – If this dog is a house pet, he does not need anything more than a weekly brush of his coat to get rid of dead hair. However, if he works out in the field or goes hunting, then the coat must be brushed after he comes back from the hunt with a fine comb to remove any debris which might have got stuck to the coat. 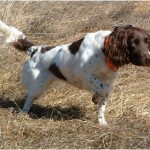 Body Type – Because it is hunting dog in essence, the Small Munsterlander has a strong, robust body. However, in spite of being strong and well-muscled, it has a very elegant and a distinguished air about him which had made him a favourite among the classes of nobles in Europe in 18th and 19th centuries. He is extremely friendly and therefore an excellent companion for kids. He is also very social and loves to interact with other house pets like cats and other dogs. It is very easy to train him as he has natural instinct to obey orders. He does not require excessive grooming except if he is used for hunting. It is an extremely intelligent breed of dog. He is not very popular as a watchdog or guard dog. He is a very handsome looking dog with an air of elegance. He is above average when it comes to popularity as a house pet. He can very easily adapt to different climates and environments. Unlike other breeds of dogs, the Small Munsterlander is an extremely talented swimmer. In fact, swimming is one the best exercises for this dog. This dog does not require out of the ordinary care or medical attention. However, one must keep in mind that he is a very playful dog and loves to have company all the time. In absence of his owners or other house pets, he can get lonely. This dog does not like the kennel life and would much rather live and sleep in the house itself, close to its owners. Small Munsterlanders require a high quality diet of dry food. However, if they are getting an excess of exertion due to hunting activities, then their diet must contain lots of proteins and carbohydrate supplements. 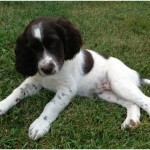 Full name of this dog is Small Munsterlander. Other names it is known by are Munsterlander (small), Vorstenhund, Spion and Heidewachtel. It origin lies in Germany. 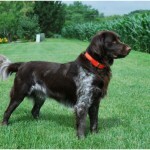 It belongs to hunting-pointing-retrieving breed of dogs. Its average lifespan is 12-14 years. The average height of a male dog is 52-56 cms and that of a female dog is 50-54 cms. The weight of this dog is usually between 17-26 kg (38-58 lbs). 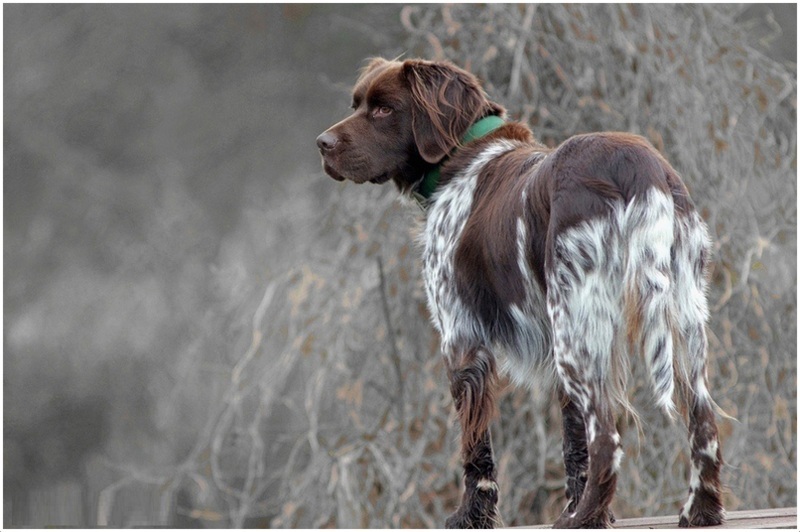 This dog basically comes only in two colours – brown and white but may be spotted or bridled. 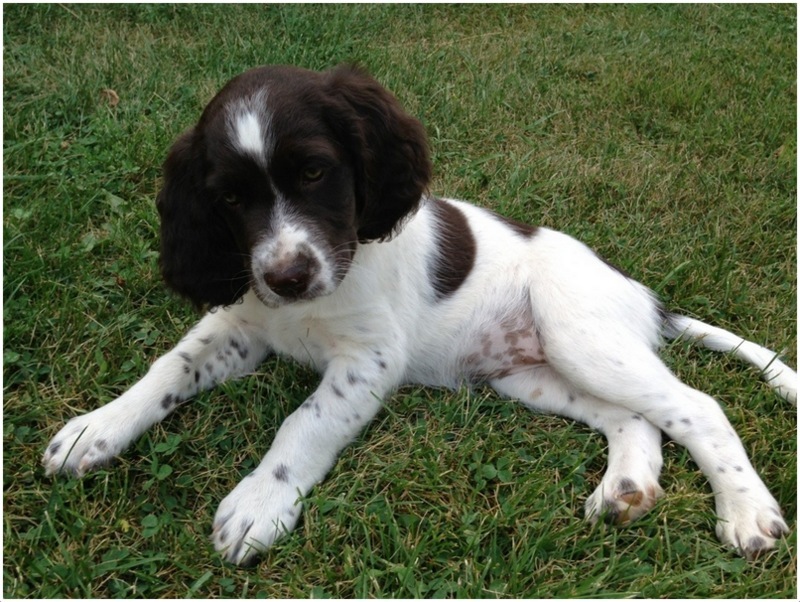 The average price of Small Munsterlander puppy is about $650. 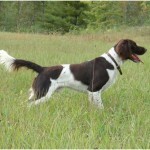 It is a very intelligent dog breed and is extremely skilled at hunting and retrieving. He is quite a popular choice for a pet because of his extremely friendly nature.